Incoming grain is received at moisture levels of between 10% and 12%. Every load is sampled, inspected, and tested at the intake point. Once tipped the grain is cleaned through imported screeners to remove stones, foreign objects, dust and straw. Once the dressing and drying processes are complete, the grain is stored in silo. 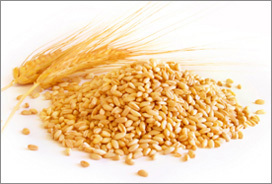 There are five stages in the process of converting barley into malt. The Malt Company India Pvt. Ltd. Produce the best malt by following step. How Malt Is Made ?